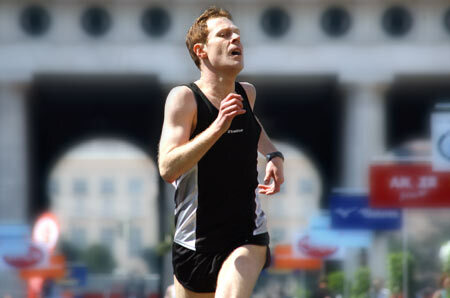 Johannes Rettenberger is a competitive marathoner. He also robs banks. In Benjamin Heisenberg’s thriller, the real-life thief who became an Austrian media sensation is transformed into an existential figure trying to outrun the pack. Based on the novel by Martin Prinz, who once ran a race alongside the athletic hold-up artist. Silver Bear winner Pernille Fischer Christensen returns to the Berlinale with a story of an art gallery owner (Lene Maria Christensen) whose new job means moving from Denmark to New York. Then her father falls ill. Christensen says the film is made with “craving for cakes, bread and love, and the desire to live life to the fullest.” All of which we can heartily endorse. In this Norwegian comedy from Aberdeen director Hans Petter Moland, Stellan Skarsgard plays a man jailed for a crime passionel. On his release 12 years later, he has to deal with the wife whose lover he killed and the gang who expect him to get retribution on a snitch. It’s a hard truth that time has caught up with him … and his hair line. Teenage crook Silviu (George Pistereanu) has only days until he’s released from prison. That hasn’t stopped him from trying to bust loose on his own. His efforts are complicated by a concerned mother and the sociology student he takes a romantic interest in. The debut film from Romanian filmmaker Florin Serban. Write up the memoirs of controversial prime minister Pierce Brosnan? Ink-stained Ewan McGregor doesn’t need to be asked twice. However, the PM has secrets to hide—secrets which threaten to surface when a colleague’s body turns up and a war crimes tribunal demands for Brosnan’s head. Director Roman Polanski tackles a political thriller, but don’t expect him in Berlin. He’s indisposed at the moment. 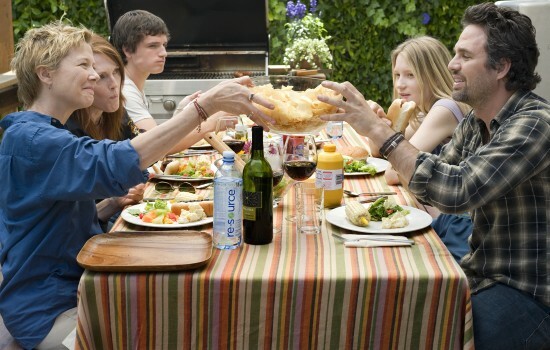 Feeling adrift, the unemployed Roger Greenberg (Ben Stiller) agrees to housesit for his brother in Los Angeles. There he sparks up a friendship with the brother’s assistant—not difficult as she played by the comely Greta Gerwig. Writer/director Noah Baumbach’s new comedy examines contemporary slacker-dom and the usual family troubles. When Allen Ginsberg announced that he had seen the best minds of his generation destroyed by madness, he changed the course of poetry and, arguably, American cultural life. The gay poet also attracted the attention of the censors. James Franco plays the beat guru and Jon Hamm is his counsel in this historical drama from Oscar-winning filmmakers Rob Epstein and Jeffrey Friedman. Austrian actor Ferdinand Marian’s performance as Iago was such a sensation that his biggest fan, Nazi propaganda minister Joseph Goebbels, asked him to play a character in a anti-Semitic film called Jud Suss. Oskar Roehler’s drama looks at the Faustian deal and the high price Marian (Tobias Moretti) paid. Filmmaker Alexei Popogrebsky’s Road to Koktebel was one of the finest of the last decade and a rare triumph for contemporary Russian cinema. This two-hander looks at how a radio message puts a pair of workers stationed on a remote Arctic island at odds. Think Moon but with more ice. Laurel Canyon director Lisa Cholodenko’s third film was the subject of what they like to call a “bidding war” at this year’s Sundance Film Festival. Julianne Moore doesn’t so much cement her gay icon status by playing Annette Bening’s wife as carve it out in marble. The couple’s cooling relationship is threatened by the appearance of their children’s biological father, played by Mark Ruffalo. This entry was posted on February 3, 2010 at 9:05 am and is filed under Austria, Denmark, Festivals, Germany, Japan, Norway, Romania, Russia, Turkey. You can follow any responses to this entry through the RSS 2.0 feed. You can leave a response, or trackback from your own site.